As a journalist, I've taken on powerful politicians and big-bucks corporations. I've weighed in on weighty issues and haven't hesitated to call it as I've seen it. Government officials have gone to federal prison under my watch; government contractors have lost multi-million-dollar jobs. But there's one thing that absolutely terrifies me: Asking for money to support my work. Journalists were always taught not to ask. That was a job for the Sales Office, the Advertising Department. We were taught to be scrupulous about avoiding possible conflicts of interest. Some journalists won't even take a cup of coffee from a source. That's starting to change, as bloggers join the news field and create one-person operations. Unless you're public radio, asking for money isn't easy. But every once in a while, I just have to grit my teeth and ask. All Hawaii News is not public radio. Nor is it a nonprofit -- at least not on purpose. For nine years, it's just been my labor of love, five days a week. Putting All Hawaii News together each day takes more than two hours of reading, culling and aggregating from almost 20 different media sources, so as to provide the top political and government news from all the Hawaiian Islands. I've been doing this for nine years. Even on vacation. Internet rumors to the contrary, I haven't made a fortune. But I appreciate every single person who finds I do a valuable service and supports my work. I am especially appreciative of the small cadre of consistent supporters. So here's your chance, faithful readers. It's the perfect holiday gift for the struggling blogger. It would be very meaningful to me if those who find All Hawaii News a helpful news blog to keep you in touch in a hurry, or that @allhawaiinews is often first with political and government news updates, to help put a little jingle in my holiday. I've moved All Hawaii News' "keep the news coming" donate button to the top right of the homepage. Just click and donate using PayPal or a major credit card. You can even click a button to send an automatic monthly payment. A donation no matter how modest would be a vote of confidence in my efforts. 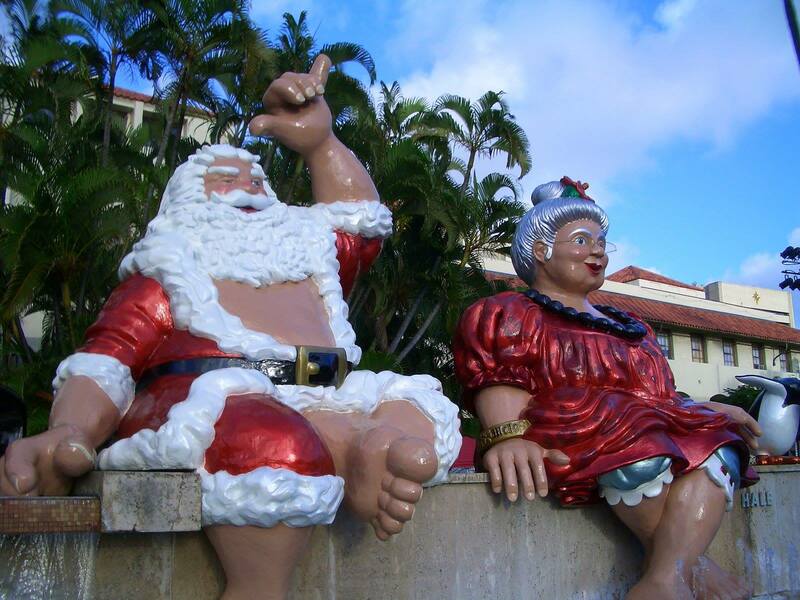 Mahalo, Mele Kalikimaka and Hau'oli Makahiki Hou from All Hawaii News!